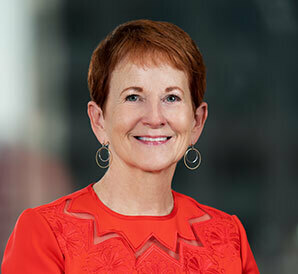 As co-chair of the Firm’s Real Estate Group, Suzanne concentrates her practice on commercial real estate and related corporate, securities, and business planning matters. Her practice includes a particular emphasis on publicly traded real estate investment trusts (REITs). She also has significant experience in (a) the formation of joint ventures that combine developers and other real estate professionals with institutional financial partners, (b) acquisition, disposition, and financing of franchised hotels and (c) acquisition, disposition, and financing of long-term ground leased properties. Additionally, Suzanne’s practice includes experience with Shari’ah-compliant financings, multi-jurisdictional portfolio acquisitions and financings, tax-deferred exchanges, leasing, acquisitions, and dispositions. In 2018, Chambers USA recognized the Real Estate Group in Band 1 for the 11th consecutive year, noting – “Never worry about their ability to grasp the essentials of a deal and define the risks. They take a real business perspective.” Suzanne has been individually recognized as a top Illinois real estate lawyer by both Chambers USA and Best Lawyers in America© for more than a decade. Acquisition and financing of franchised hotels throughout the U.S.
Acquisition, via sale, leaseback, and financing, of the international corporate headquarters of a Fortune 100 company. Acquisition and financing of numerous office properties, throughout the U.S. Financings of various properties (office and hotels) where the form of each is similar to a “credit tenant lease” loan and is made by institutional investors that fund each loan through their purchase of rated certificates. Single asset, single borrower securitized loan and mezzanine loan involving a portfolio of approximately 25 hotels. Acquisition and financing of central business district office buildings in Chicago, Charlotte, Nashville, Columbus (Ohio) and Tampa, including, in one instance, the assumption of an ongoing construction project and TIF financing. Financing of multiple “credit tenant” leases with loans made by institutional investors that fund the loans through the purchase of rated certificates. Sales of leasehold estates (in several central business districts) subject to long-term ground leases, where estates are improved with office buildings. Acquisition, financing and redevelopment of distressed commercial properties, including a portfolio of REO industrial/office/distribution properties in New Jersey and Pennsylvania. Negotiation of numerous joint venture relationships, together with the acquisition and financing of properties by those joint ventures, some of which acquisitions involved Shari’ah-compliant financing. Coordination and acquisition of an assemblage of 12 contiguous parcels in California for redevelopment for industrial purposes. Negotiation of numerous single tenant sale and leaseback transactions.